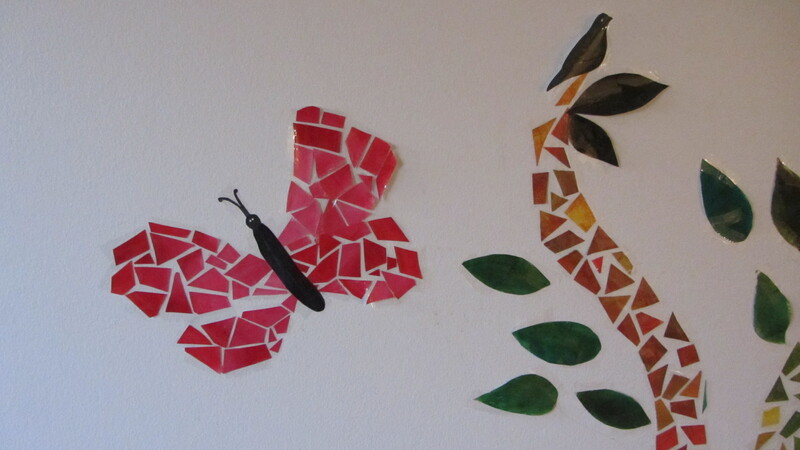 I made this mosaic on a wall of my living room. Since I cannot alter the paint in this rented apartment, I stuck paper with packing tape. It will be easy to remove once we move out. (though I won’t have a heart to). First I colored sheets of paper with different textures. (You can use any colored or magazine paper as well). Cut them in shapes of squares, rectangles and triangles. Pasted each cut paper to the wall with tape, to make an outline of the each character.Once I had an outline in place, I filled in the gaps with more paper! This took me around 60 hours spanned over a month, to finish. 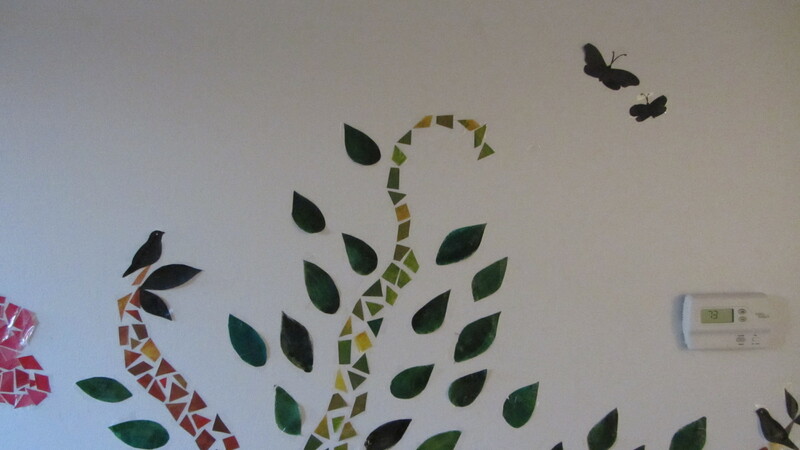 This entry was posted in Recycled Arts & Craft and tagged handmade, mosaic on wall, paper mosaic, recycle, recycled crafts, reuse, wall decor. Bookmark the permalink. nice idea! 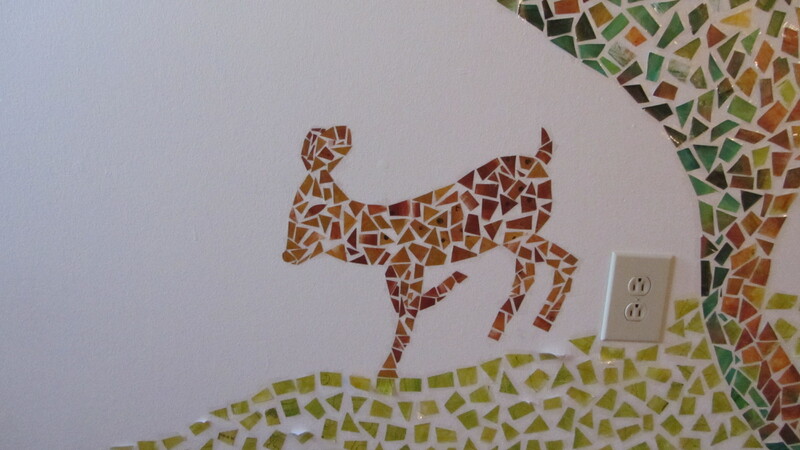 I’ve only worked on mosaics on paper – didn’t think about using the wall, though. I’ve been thinking of painting a mural, but maybe this is better – less messy? easy to correct? hmmm…. Thanks! I decided to paste paper on the wall as I could not paint on it. It did take me a lot of time and it does require one to be patient. But very rewarding. Definately less messy and easy to correct! This is amazing and beautiful! I love it! I’m happy that you liked it! 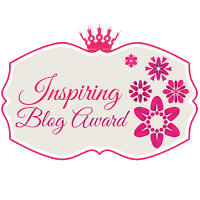 Thanks for the re-blog. I appreciate it. 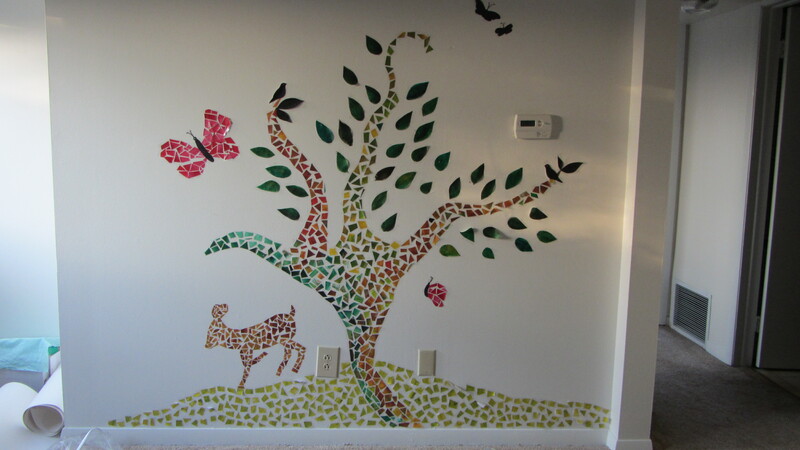 This is such an inspiring way to decorate a wall and truly a mosaic masterpiece. Thank you to All Good Things! Its so beautiful and innovative. loved it a lot. All the art pieces are made with easily available materials that is what I like the most about your work. Truly very creative and inspirational.